Am 21.12. – Montag – am Wagenplatz. Ab 18 Uhr: Kühle Luft, heiße Drinks, großes Feuer und Sauna-Eröffnung! 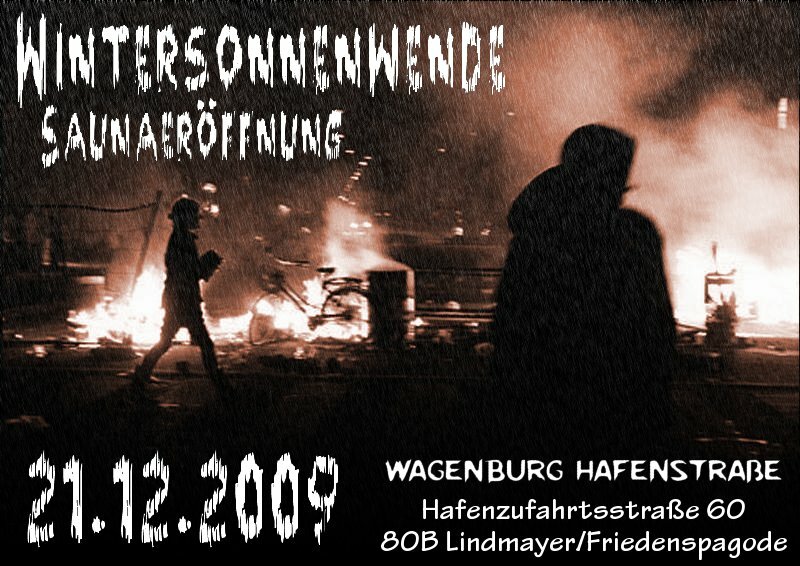 This entry was posted on Samstag, Dezember 19th, 2009 at 6:26 pm	and is filed under Uncategorized. You can follow any responses to this entry through the RSS 2.0 feed. You can leave a response, or trackback from your own site.